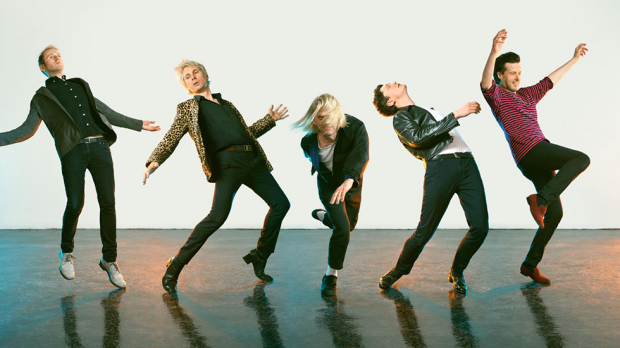 Scottish indie rockers Franz Ferdinand have returned with new single Lazy Boy, from forthcoming fifth album Always Ascending. It’s a song that’ll have you wondering where you are and what’s going on, right before you’re sucked into funky town. Lazy Boy opens with a morphed sounding version of Kiss’ I Was Made For Lovin’ You with a cool jangly bass line. Some brief mystical keyboards jump in before frontman Alex Kapranos lays down some nearing monotone vocals with shallow echoes. There’s more keyboards before choppy guitar riffs oozing funk kick in and echo-free vocals flow through to the song’s end. That choppy guitar gets crispier and crunchier as the song progresses, and a few vocal free spaces really give it space to shine. A mid-song riff reminiscent of Lipps Inc.’s Funky Town added a rad touch. A shorter edited version released ditches the mystical keyboards and echoing vocals, kicking strait into the funky guitar instead, and honestly sounds way better. It’s catchy song with a funky movement inducing beat. You’ll be feeling nostalgic for old school Franz Ferdinand and no doubt be firing up Take Me Out for a 2004 throwback (yes 2004!) Feeling old yet? It’s a fun song so let loose and enjoy it. Turn it up and dance like no-one’s watching. Just be sure no-one’s around because let’s face it, those moves should probably stay private.